This low perennial prefers dry grassy slopes and is often to be found on acid heathland. The slim, sharp leaves are forward-facing and set in whorls of six to eight. The white flowers, which are usually visible from June until the end of August, give off a rather sickly smell. 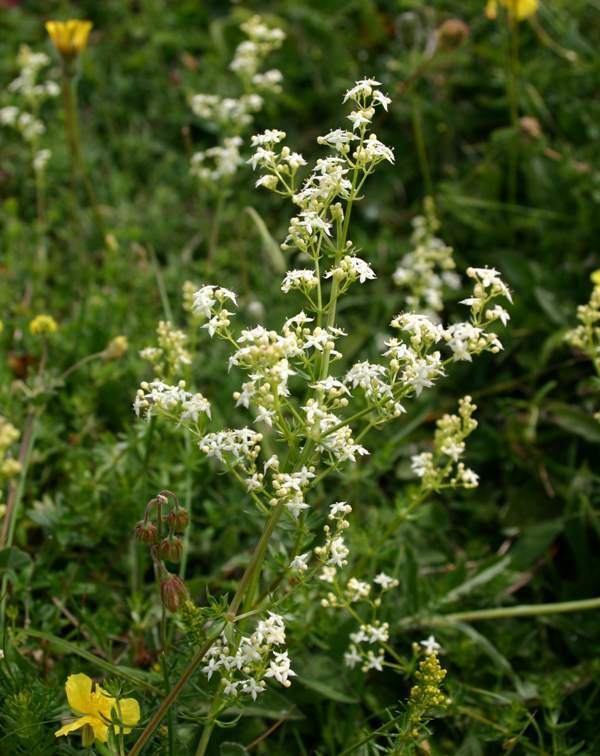 Heath Bedstraw is widespread and common throughout the UK and Ireland. The plant shown here was photographed in mid July on Llanllwni Mountain, overlooking the Teifi Valley in West Wales. Cleavers (Galium aparine), commonly also referred to as goosegrass, is another member of the bedstraw family.